Brutus and Caesar, with an assist from William Shakespeare, gave the Ides of March a bad reputation — with connotations of impending doom or betrayal by a friend still lingering two millennia later. Around the Stockade, the River can turn from friend to vandal this time of year. And, the melted snow perennially reveals the winter crime-sprees of our pooper-scooper scofflaws. 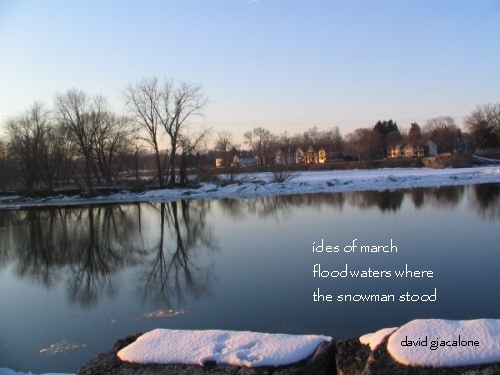 But, mid-March can also bring wondrous sights, like last week’s ice floes, and the first real promise of spring. With the Equinox just a few days away, the longer days and added sunlight also brighten a lot of moods. I hope the Stockade’s sunny 2011 Ides of March was tranquil and hopeful at your home.